Appropriately, my complete team set of 2014 Topps Opening Day arrived today. Every year the Opening Day set proves just how much nicer the flagship Topp set issue looks without foil, and I once again curse Topps for adhering to some weird self-imposed belief that the regular set must have foil. 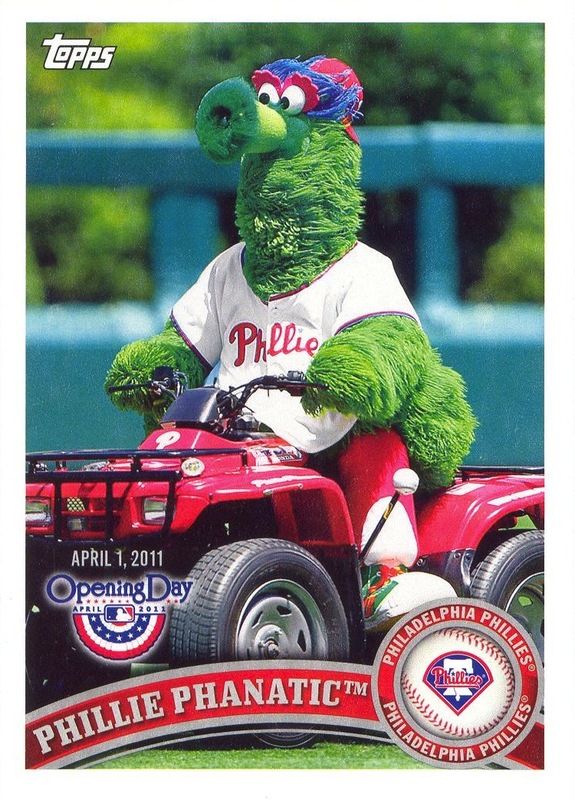 As I entered the Opening Day cards into my Excel spreadsheets, I noted that I now own 55 different Phanatic cards. Mind you, the Phillies team issued sets over the past 3+ decades are responsible for the bulk of them, but it still boggles my mind that I own more cards of the Phanatic than I do of either Tug McGraw or Bob Boone. 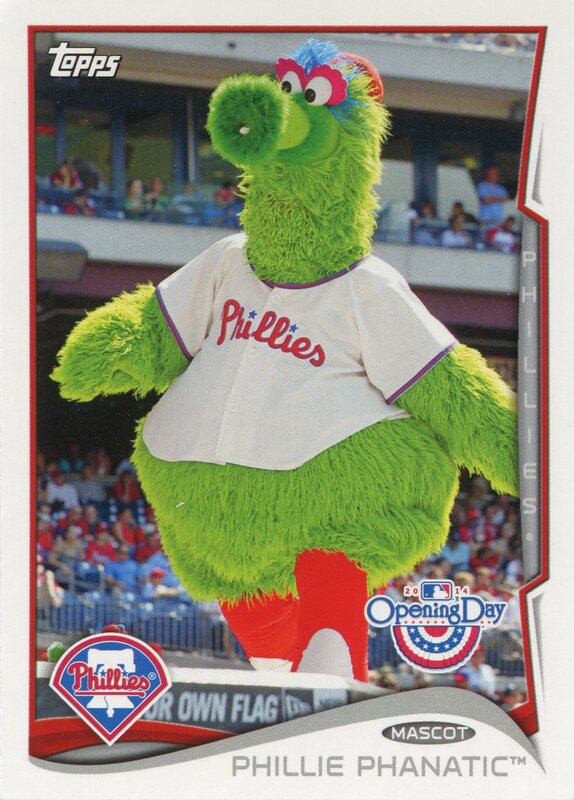 In another couple years, assuming he continues to appear in both team-issued sets and in Opening Day Mascots insert sets, he’ll surpass Jamie Moyer, Steve Bedrosian, Garry Maddox, and potentially even Mitch Williams in my collection. 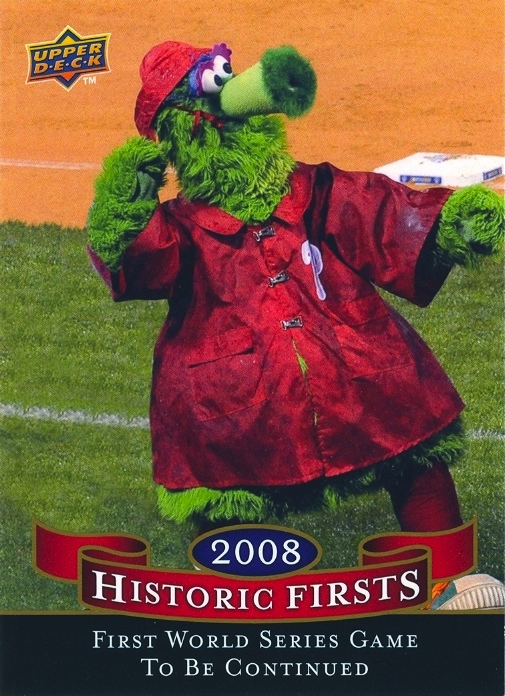 However, no matter how many more Phanatic cards I eventually add to the colleciton, I doubt we will see another one as awesome as the one Upper Deck printed in 2009. 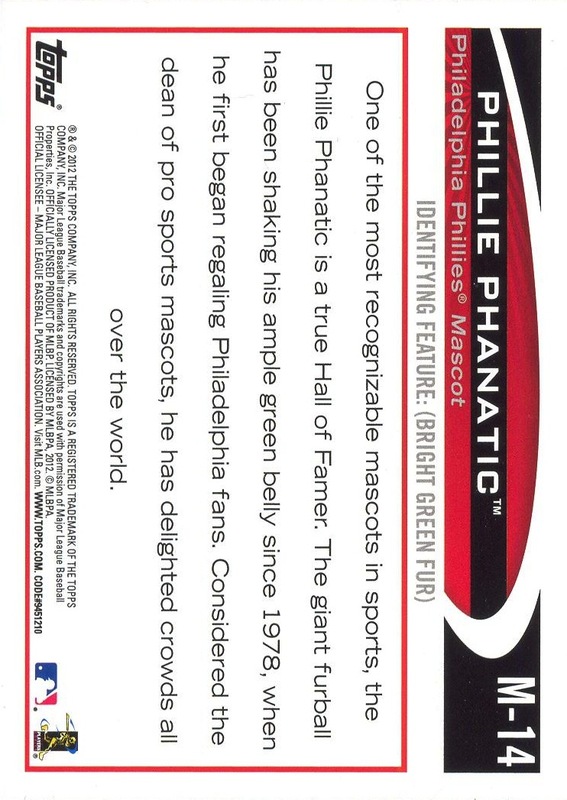 Additional Information: Inserted in packs of 2012 Topps Opening Day. While I’ve only maintained this blog for eight months, I’ve actually spent over 20 years regularly writing for a variety of different venues. In all that time, I’ve never composed a year-in-review piece (or series) of any kind. 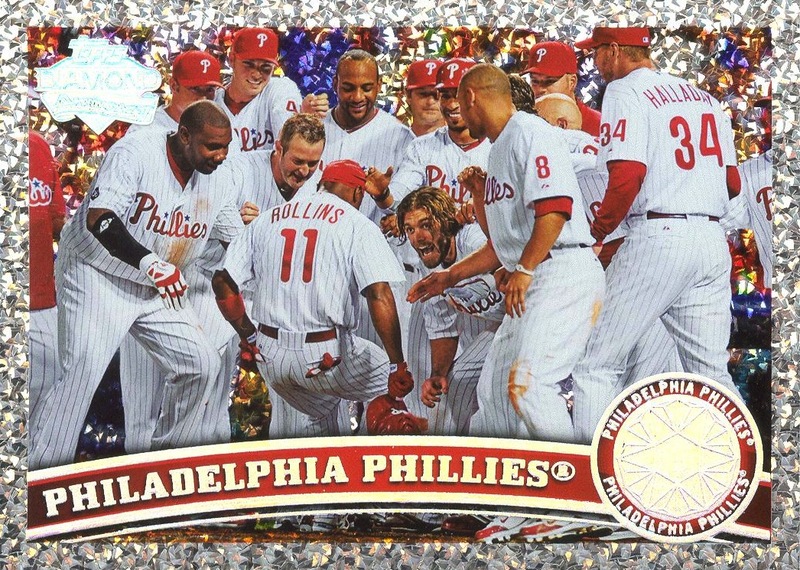 In addition, Bowman Sterling is the only unreleased 2011 issue at this time, and given the nature of the set, I doubt that it will have much impact on anything I might want to say about the Phillies baseball cards issued this calendar year. Therefore, now seemed like a perfect time to finally end the drought and leap headlong into such a project. Unfortunately, because we are now in the second year of Topps’s second era of monopoly control over the industry, this probably won’t be as fun as it would have been 15 years ago when we had six different manufacturers running the presses day and night in an effort to separate us from our money. However, I plan to make this as positive as possible. 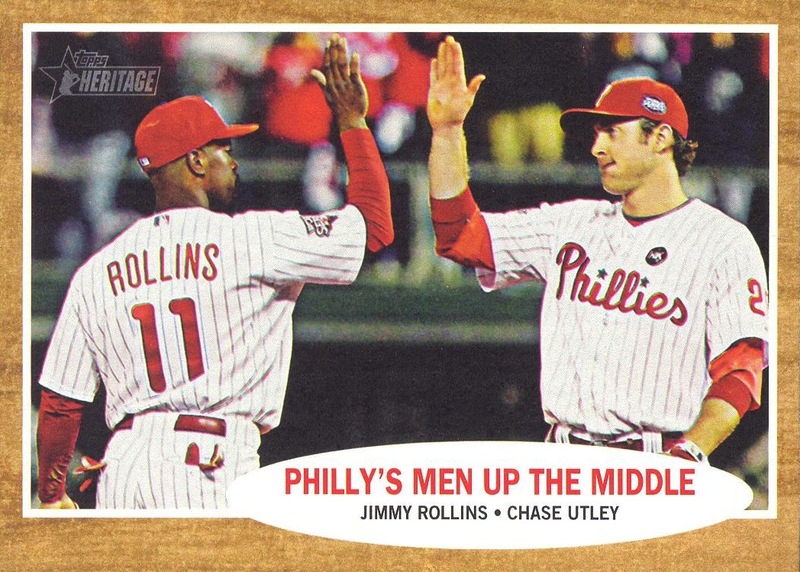 I have two overriding guidelines for my 2011 Phillies Cards in Review series: 1) all topics I choose and all cards I feature are grounded in my own collection of 2011 cards, and 2) keep it overwhelming positive. I have spent a lot of time bashing Topps over the past eight months, and will likely continue to do so in 2012. Granted, it’s almost certain that I’ll work in some good-spirited snark into what I want to say, but I will do what I can to keep it to keep the true negativity an absolute minimum. Along the way, I will almost certainly throw in a few more subjects as they strike my fancy. For example, I have a card in mind for Most Amusing Card of the Year, but that post may actually end up with an entirely different name — I’m still mulling it over. 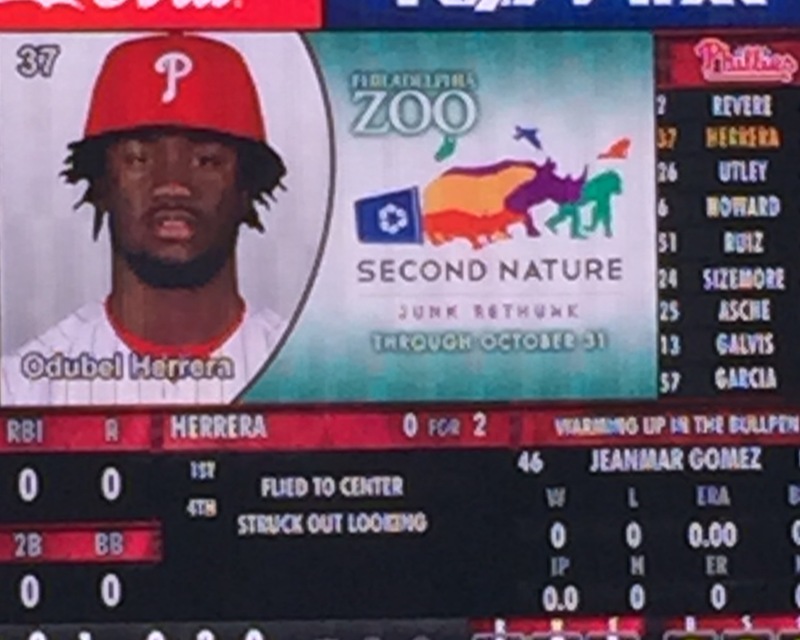 In addition, any Phillies news that occurs will certainly take precedence over any entries in this series. Nonetheless, I plan to have some fun with this and hope to complete the series before 2012 begins. 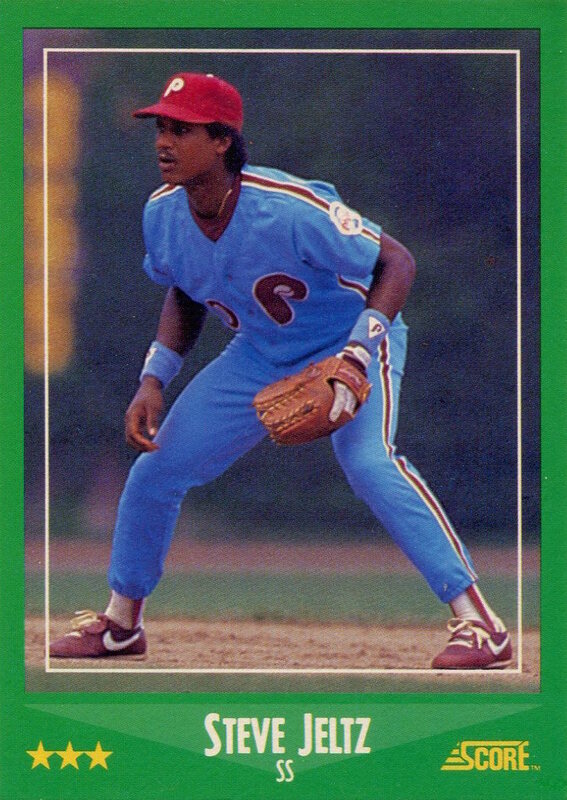 I’ll start tomorrow with my pick for Phillies Rookie Card of the Year. I was at yesterday’s game, waited out the 71-minute rain delay in its entirety and then waited around to see Brad Lidge plunk-in the winning run for the Nats. 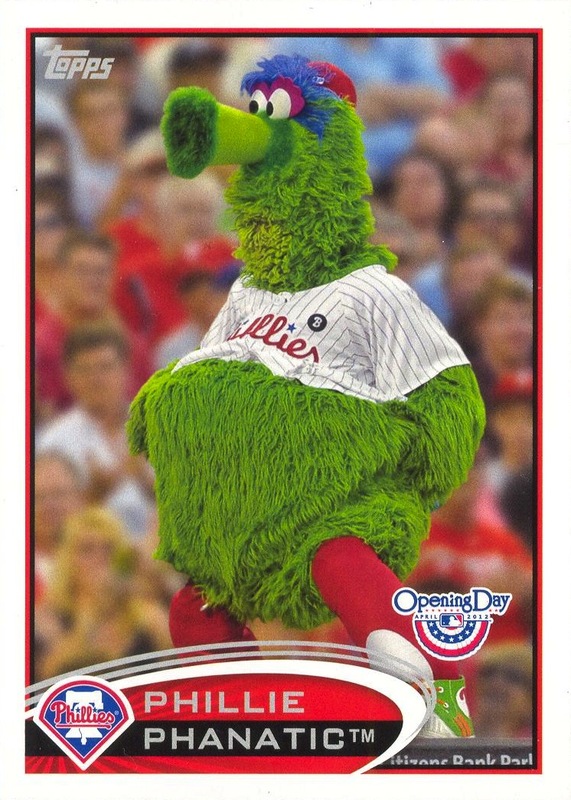 Given what I sat stood through yesterday and the amount of time the Phillies have lost to rain delays over the past four days, it somehow seemed appropriate to finally break this card out and highlight it. 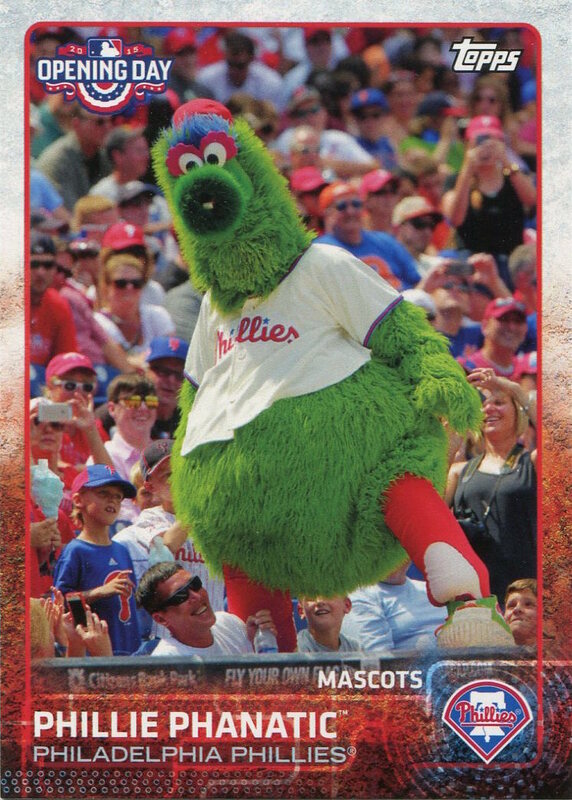 The card also serves as a kind of “rain delay” placeholder for 14,000 Phillies while I work on my next multiple-card post highlighting Topps’s issues with reprinting/recycling its vintage issues. Part two of this past Wednesday’s post is coming next.